Congratulations! Your wedding day is one of the most memorable days of your life. We are excited to get the chance to help make the meal for your wedding as stress-free as possible. 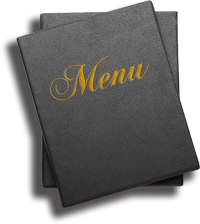 We offer many menu packages and options, all of which are customizable to meet your needs. Click on Price Quotes to submit your information and then give us a call to give us a call to review the details. Once you are booked, you are all set until the month before your wedding date, at which time we will start finalizing the attendance. We can't wait to be part of your big day!